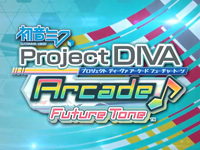 The new Hatsune Miku arcade game is announced: the title is Hatsune Miku Project DIVA Arcade Future Tone. It will be on location test at the new Club Sega Akihabara this weekend. Players can fill out a questionnaire to give their impression on the game. The new "Type2.0 AC Module" character module allows graphical improvements: the movements are more precise and smoother, facial expressions are much more detailed and the hair animation is more dynamic. The main innovation is the new "touch slider" control (placed just above the buttons) as in the home console title Hatsune Miku-Project DIVA-f. When the slider icon appears on the screen, the player must drag his finger on it in the direction indicated. Module selection screens are renewed and 3 customization sets of Hatsune Miku-Project DIVA-f are added. The songs available for the location test are "Cat Food" by Doriko and "Unhappy Refrain" by Wowaka. Watch the video to discover the new features. Taito unveiled four new upcoming NESiCAxLive titles yesterday: The King of Fighters XIII Climax for NESiCAxLive, Skullgirls for NESiCAxLive, Spelunker for NESiCAxLive and Spelunker II 23 no Kagi for NESiCAxLive. The King of Fighters XIII Climax was released in April 2012 on Type X², it is unclear whether there will be changes to the NESiCA release. Skullgirls is a 2D fighting game developped by Reverge Labs (a Californian compagny) released on home consoles. The game is in high-res, it features 6 buttons and a Tag Battle system. The music is composed by Michiru Yamana (Castlevania: Symphony of the Night) and the game takes place in a "Dark Deco" universe (a mix of gothic and '20s style). Spelunker is a platform game developed by MicroGraphic Image released on Atari 400/800 in 1983 and ported to different consoles and even released in arcades through Irem. The player leads Spelunker, a caver exploring galleries full of ennemis and traps sinking deeper and deeper into Earth. He can use objects (bombs, ropes, keys) and transports to help him in his journey. In this new alternative version, the character will not die if he falls from a great height and huge bosses are added. Spelunker II was released in arcades in October 1986. 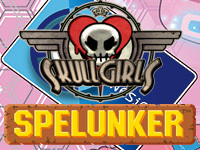 Skullgirls and Spelunker are adapted by M2 to NESiCAxLive. We knew the shockboxes, nice plastic cases to replace the cardboard boxes of MVS cartridges. Arcade Works goes further by proposing to replace the plastic shell of MVS cartridges with a more practical and aesthetic model. This one is similar to the model used for the Neo-Geo cartridges. Like them, it features a square sticker with an artwork of the game covering the edge and one face of the cart (prettier than the original monochrome strip). The shell is designed in such a way that you do not damage the sticker when opening it. 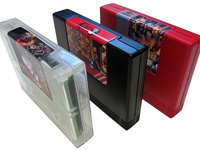 It retains the dimensions of the original MVS cartridge, which allows it to fit in a shockbox. Arcade Works uses crowd-funding via Kickstarter to launch the manufacture of these "Omega" shells in the United States. The "pre-sale" price is $15 for a black shell (sticker printing included) and $135 for 10 units (shipping excluded). Other colours are planned for the future (clear, red, green, blue, ...). It is not certain that this project will succeed because there's only three days left to reach the $22,500 amount needed to start manufacturing. Only $3,213 was collected so far. So if you're interested, it's time to place your order and spread the word! After having announced Guilty Gear Xrd -SIGN- during Arc Fes, Arc System Works made â€‹â€‹another gift to its fans yesterday: the announcement of the animated series BLAZBLUE Alter Memory that will be broadcast this Fall. The project is already in the works as the technical staff is already known. The series is directed by Hideki Tachibana (Higurashi no Naku Koro ni Kira) and is produced by the teamKG and Hoods Entertainment studios. Seiji Mizushima (Fullmetal Alchemist, Mobile Suit Gundam 00) is collaborating on the direction. Akao Deko (Arakawa Under the Bridge, Mysterious Girlfriend X) oversees the script of the series that is co-written by Tatsuya Takahashi (The Idolm@ster, Phantom ~ Requiem for the Phantom ~). Tomoyuki Shitaya (Bakuman, Hatsukoi Limited, Kissxsis) is in charge of the charadesign and is the chief animation director. Toshimichi Mori, BlazBlue game designer, supervises the project. The cast is also already unveiled including: Tomokazu Sugita (Ragna the Bloodedge), Kanako Kondou (Noel Vermillion), Tetsuya Kakihara (Jin Kisaragi) and Kana Ueda (Rachel Alucard). The story is set in December of 2199. During the celebrations, word spreads that Ragna the Bloodedge, an SS-class rebel with the highest ever bounty on his head, has appeared in Kagutsuchi. The apparent aim of Ragna is the destruction of the system controlling the world. To collect the bounty, a motley array of unrivaled fighters converge on Kagutsuchi. 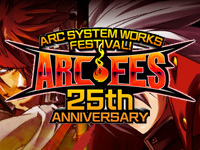 Arc System Works announced its next arcade title during the Arc Fes today: Guilty Gear Xrd -SIGN-. It will be distributed via Sega's ALL.Net P-ras MULTI (RingEdge 2). As the previous Guilty Gear games, it is directed by Daisuke Ishiwatari and uses the Unreal Engine. A website is already open but it doesn't give any information on the game yet: ggxrd.com. For now, only a trailer is available on Youtube. 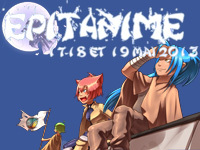 Epitanime convention will be held at IONIS's technological pole in Kremlin-Bicêtre (near Paris) from May 17 to 19. Epitanime is one of the oldest anime convention in France, it exists since 1995. It also has the particularity to be opened the whole night of Saturday to Sunday. Entry fees are as follows: 1 day/€8, 1 night/€6 and all weekend/€24. Presales are available at €20 for the weekend and €14 for both days. Each year, a Japanese guest is attending the convention. This year it's Urobuchi Gen, author and screenwriter of Madokaâ˜…Magica anime series and Fate/Zero light novel. The show features the usual activities: individual and group cosplay, karaoke with opening/ending themes from anime TV series, video games and visual novel music, a Zen zone with classic games such as Go, Mahjong, Shogi and other board games, a Doujin game room with tournaments, the Epifestival with fanzines stands and varied activities. And of course, a video game section with many tournaments. This year Shmup.com community will have a stand with consoles and arcade games: Mushihimesama Matsuri 1.5 and Dodonpachi Saidaioujou are announced. Tournaments on Matrimelee, Darkstalkers and Street Fighter II X will be held on Friday and Saturday. Saturday night will be dedicated to shmups with R-Type, Gradius, Darius, Parodius, Battle Garegga, Radiant Silvergun and others. On Sunday, there will be a Puyo Puyo Fever tournament exclusively for girls. 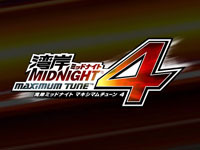 A new significant update to the Asian version of Wangan Midnight Maximum Tune 4 is available since yesterday: Rev1.03 corresponding to Japanese Rev1.07. A new area of the C1 road that was under construction is now open to traffic: this is the first time in the series that this part of the road is available. It is a one-lane narrow road that has tight corners. To reach it, use one of the following junctions: Kandabashi, Ginza and Shiodome. Five new cars have been added: the RK Coupe from RUF (present for the first time in a Wangan game), the Chevrolet Camaro and the Chevrolet Corvette Stingray, the Toyota Sprinter Trueno and finally the Nissan Fuga. Players can now create their own team and battle against other registered teams. Members can paste team stickers on their windows. Use the external terminal to create your team. Each registered team name is reserved and some names can not be used (as Project D?). In Online Ghost Versus Battle mode, if the player beats the ghost of a player from another team, he wins the sticker from this team. If a team earns a certain number of stickers, all members receive a special title. The "Japan Challenge" mode is now available: the player fills in a map of Japan as he conquers each region by defeating an opponent appropriate to his level chosen from randomly selected ghosts from each district of Japan. Each region is divided into districts and he has to complete all districts of a region to move to the next. The player earns points to customise his car, get new number plates and if he finishes all regions, he wins a special sticker. For customisation fans, 14 new parts have been added. At last, a limited time event will be held: Online Champion Match. All players face the same ghost and try to put the greatest distance between them and the ghost. The winner will earn the Champion title and special prizes. 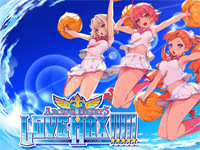 Scheduled initially for Winter 2012, Arcana Heart 3 LOVE MAX!!!!! is finally released on NESiCAxLive today. This update of Arcana Heart 3 is now in 16:9 aspect ratio (the game is still in 4:3 but two bands providing information on characters are added on each side) and a training mode is available. New attacks are added for each character. To celebrate Arcana Heart 3 LOVE MAX release, Examu will organise a tournament at Hey Akihabara on May 11 that will be live broadcast on the internet. Arcana Heart merchandising will be sold during the tournament: T-shirts (between ¥2500 and ¥4000) and towels (¥2500) created for the occasion. The fans previously voted to choose the three characters that would be represented on towels: Akane, Elsa and Clarisse won the contest. There are two versions of the towels: one with the girls in usual clothes and the other in swimsuit. The tournament registration fee is ¥100 and up to 128 players can register. Note also that the "Examu CUP 2013" will take place this Summer but the location has not yet been determined. 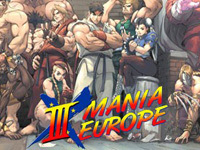 The third and last edition of the X-Mania Europe tournament organised by Neo Arcadia is held this year. This Super Street Fighter 2X tournament, which is the largest in Europe, is organised in collaboration with the Mikado arcade in Tokyo, the creator of the original X-Mania. It will be held from Friday 10th to Sunday 12th of May at Neo-Arcadia arcade in Toulouse. Friday will be reserved for freeplay with challenges, money matches,... On Saturday, two solo tournaments are scheduled: the 3on3 solo tournament at 13:00 and the 1on1 solo at 16:00. The event will end with the 3vs3 Team tournament on Sunday at 11:00. All matches are of course on arcade hardware (Astro City with Seimitsu joysticks, Sanwa buttons and the Japanese version of Super Street Fighter 2X). The best players from all over Europe are expected, but players from other continents will also be present such as the Japanese Kurahashi, Aniken and Hanashi and the American Damdai. The tournaments will be broadcast live on twitch.tv. Entry is free to spectators, however visitors can pay €30 to access freeplay arcade games. Registration fee for the tournaments are: €12 for the 2 solo tournaments, €10 per player (€30 per team) for the Team 3vs3. A pack at €59 per player covers the entrance fee and the three tournaments entries. Be quick, registration ends tomorrow!